In homes and workplaces all over the country, resolutions become a popular topic of conversation this time of year. What’s your resolution? Exercise more? Spend less? Take up a new hobby? Why not make a resolution for better workplace safety? When someone gets hurt, it affects morale, productivity, workers’ compensation costs, lost work time, and more. 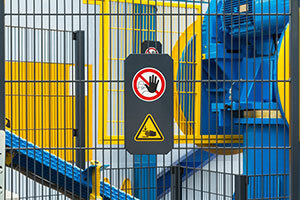 Improving the training practices, increasing signage, and installing machine guards are just a few of the ways you can increase safety for your employees, which yields benefits for everyone.